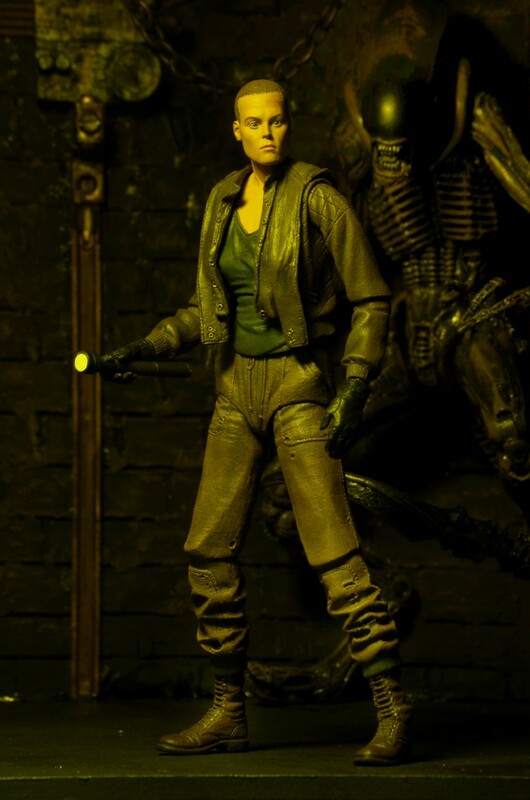 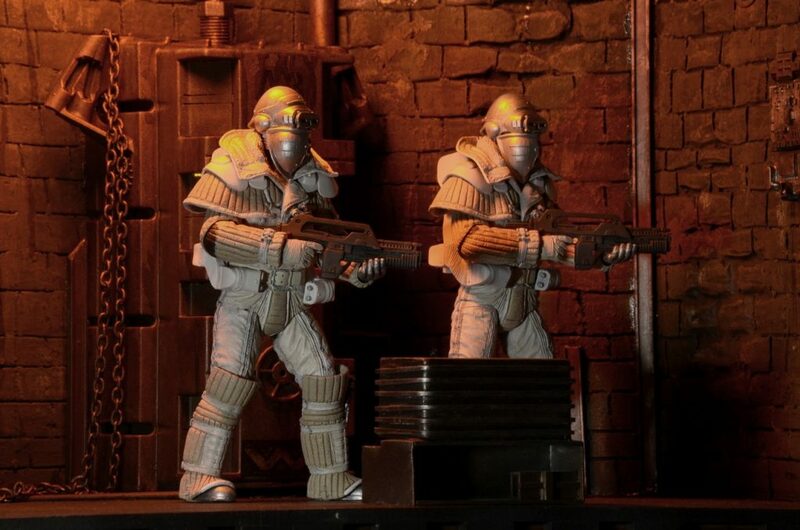 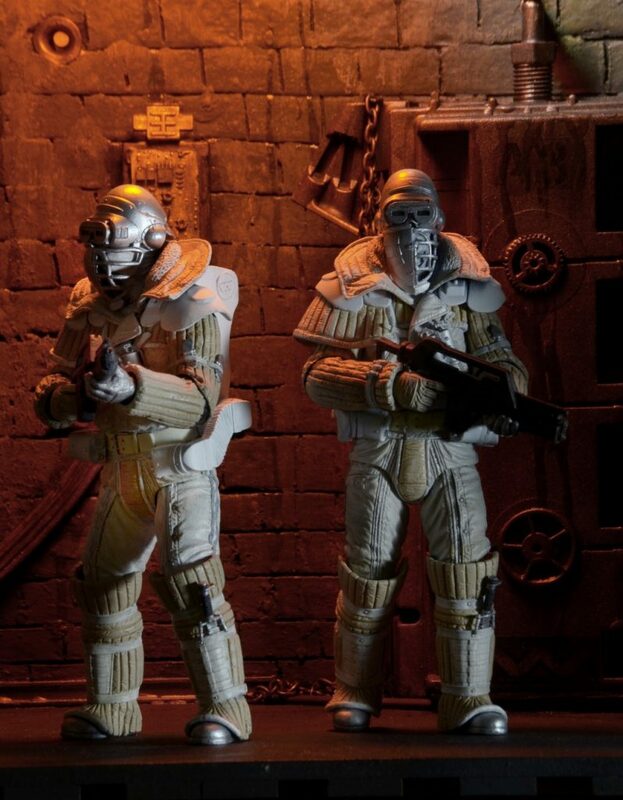 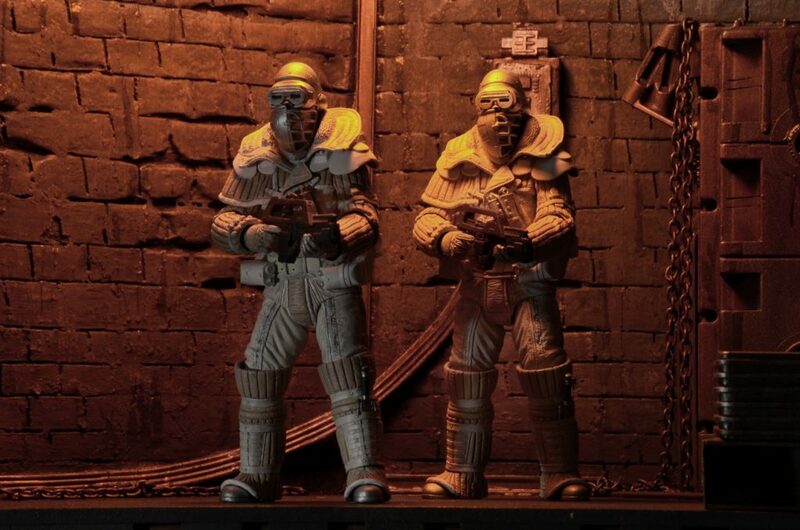 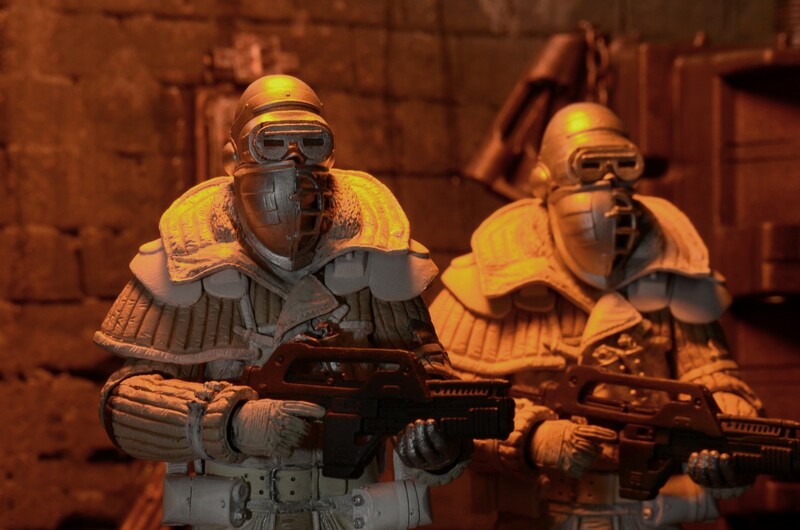 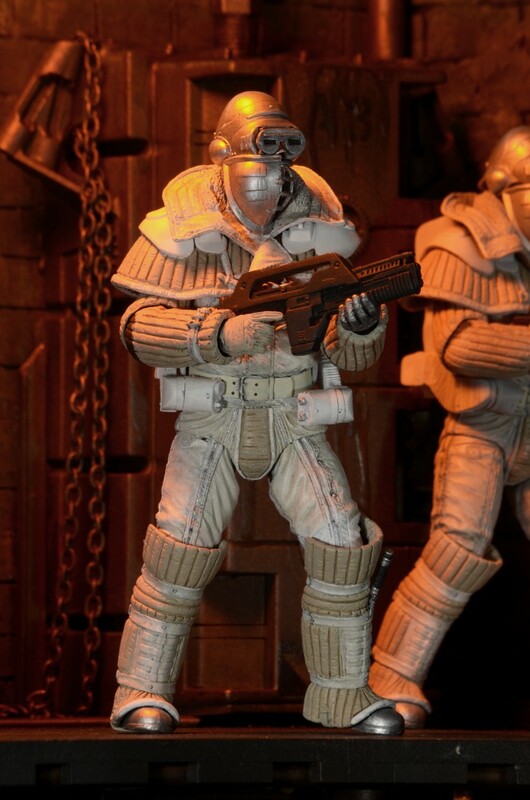 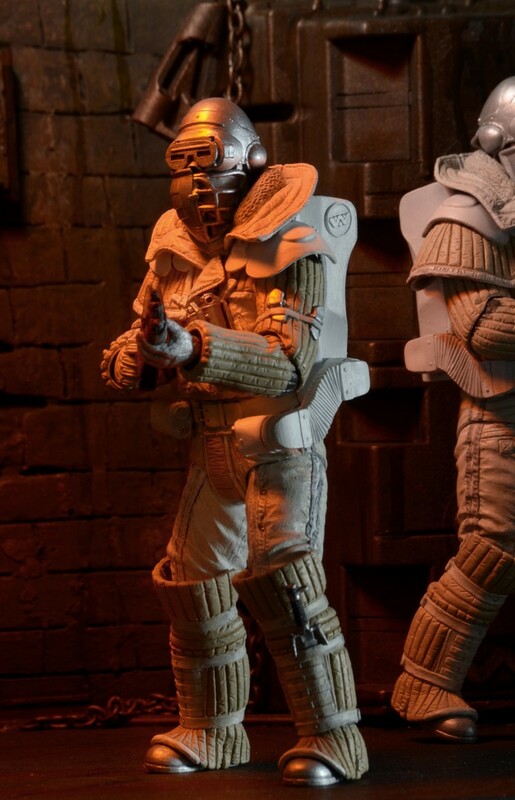 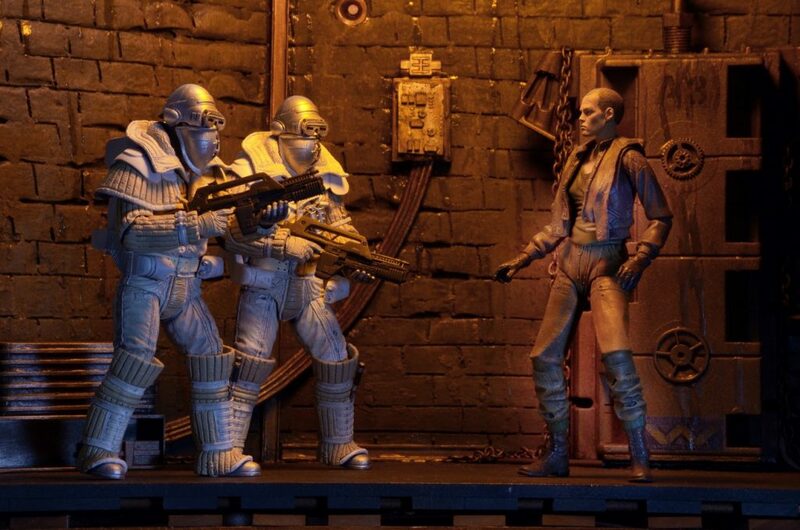 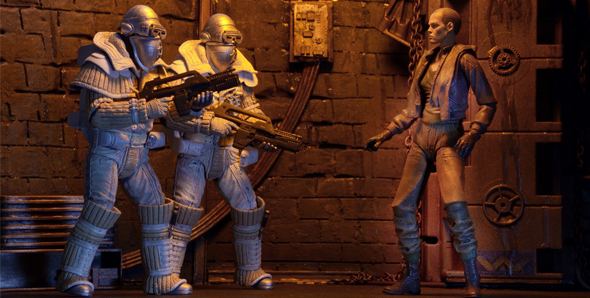 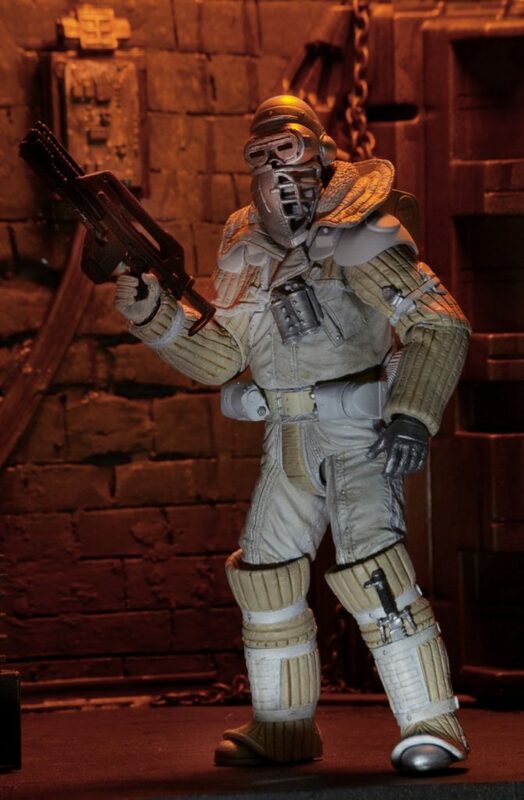 Closer Look: Aliens Series 8 (Alien 3) 7″ Scale Action Figures! 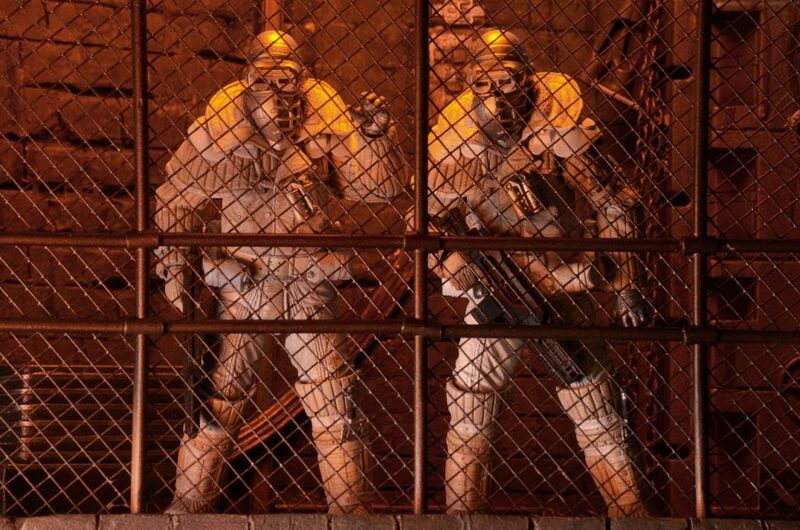 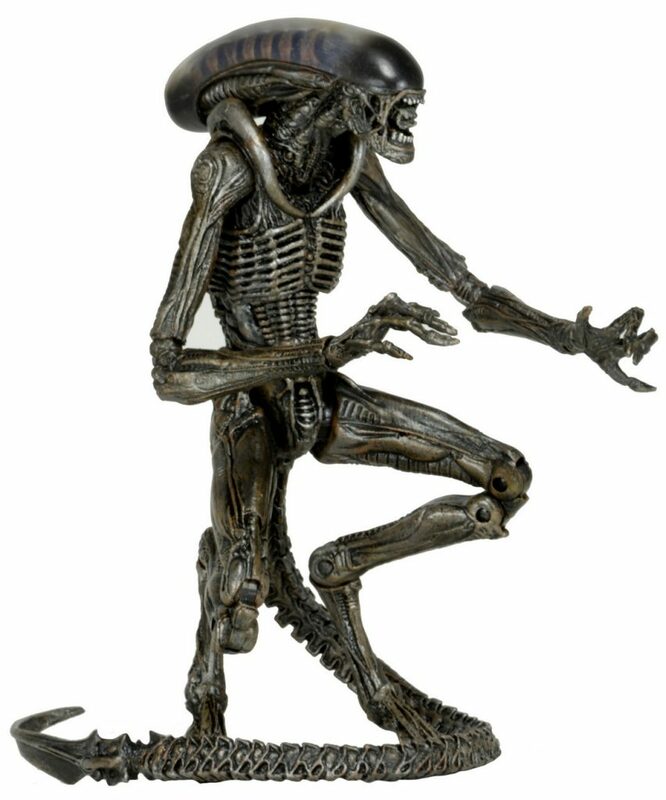 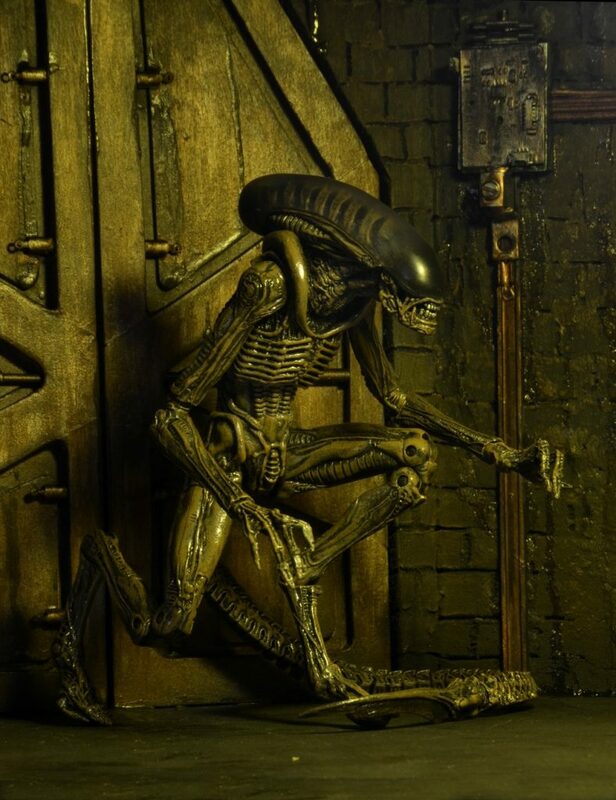 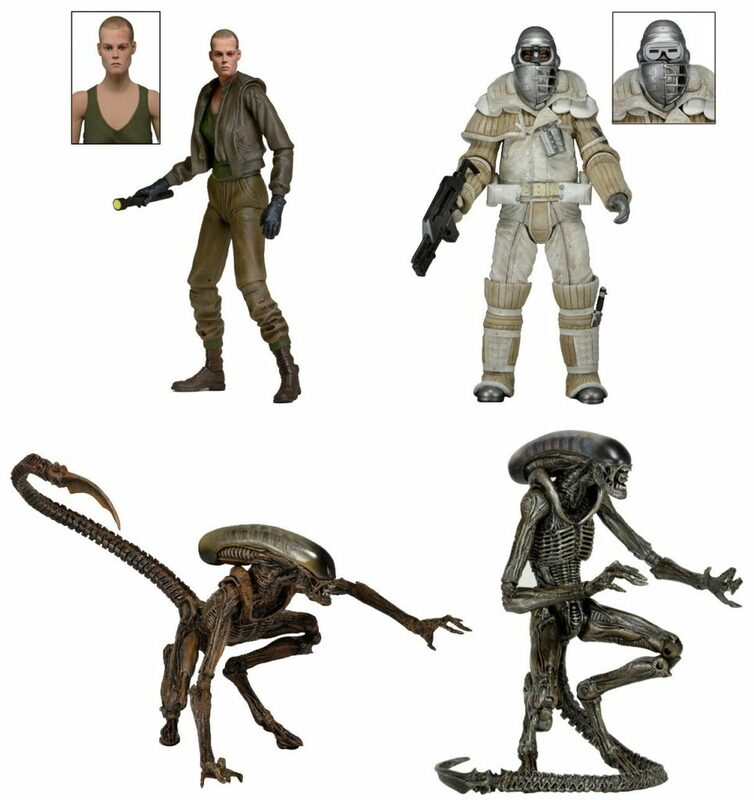 You are here: NECAOnline.com » Licenses » Movies » Alien » Closer Look: Aliens Series 8 (Alien 3) 7″ Scale Action Figures! 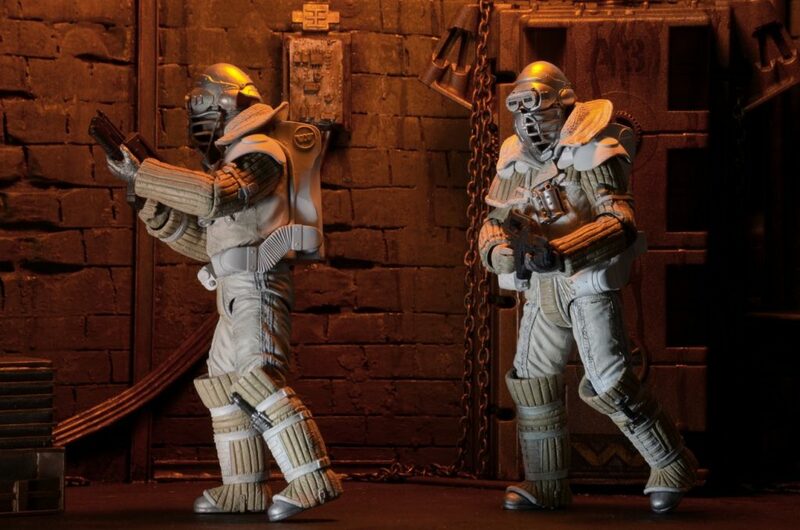 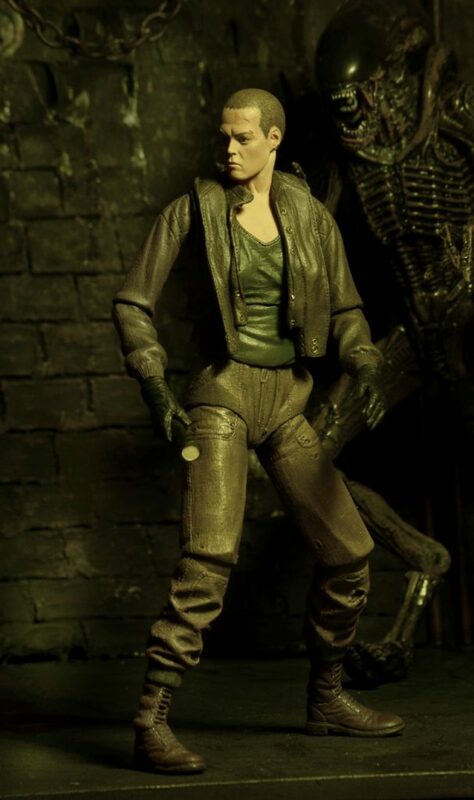 This #FacehuggerFriday, we bring you an up-close look at Aliens Series 8 (based on Aliens 3) in action! 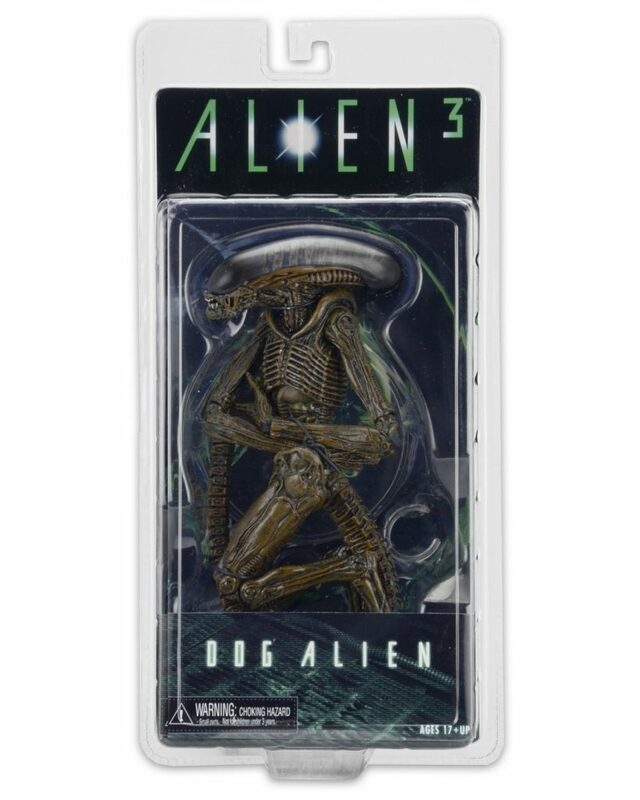 Get a closer look in the gallery below, and look for the series to start shipping to retailers in early July. 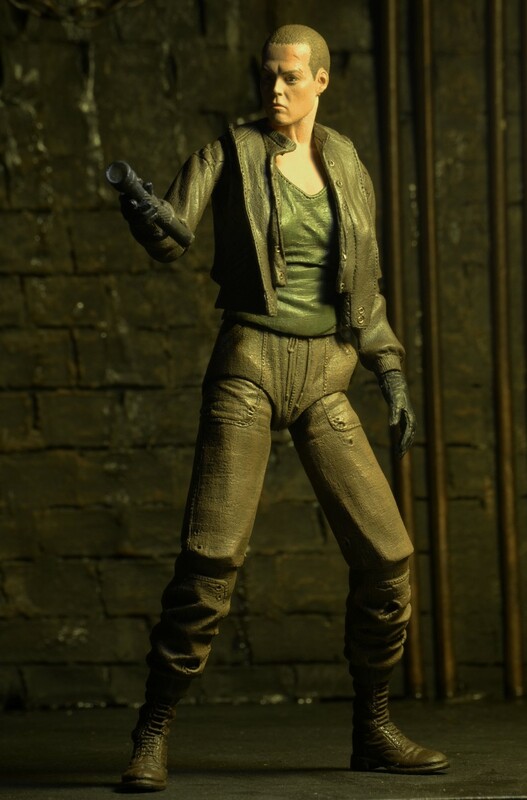 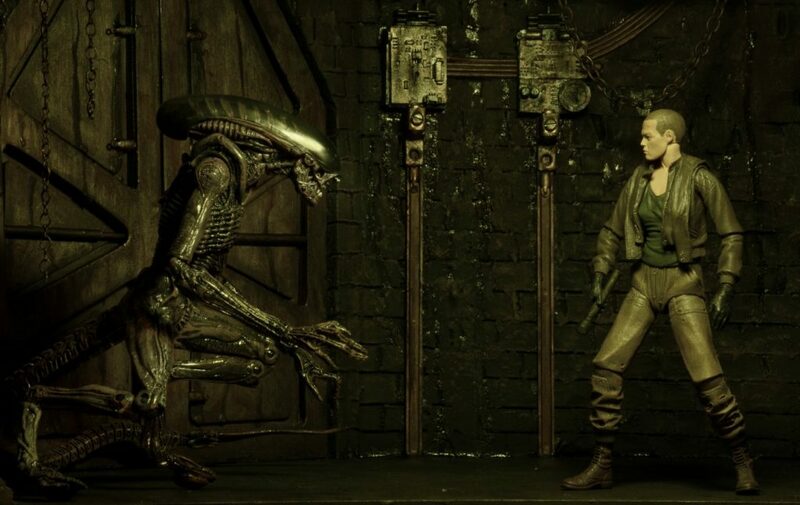 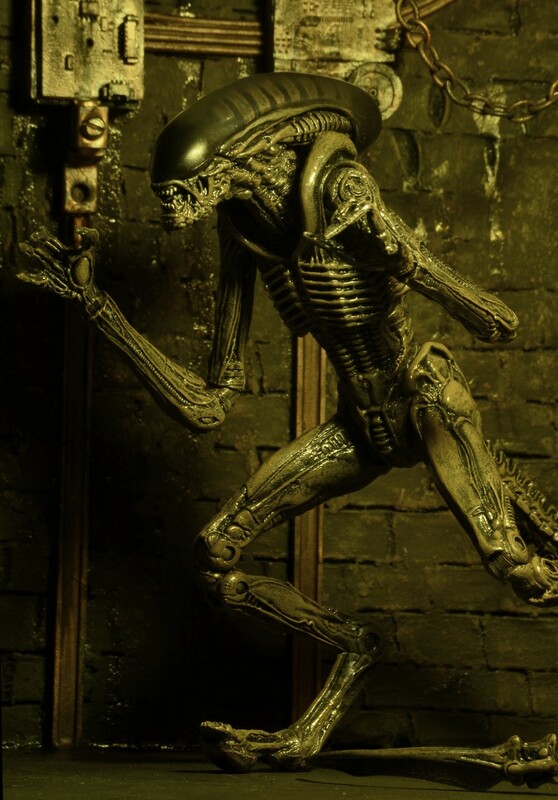 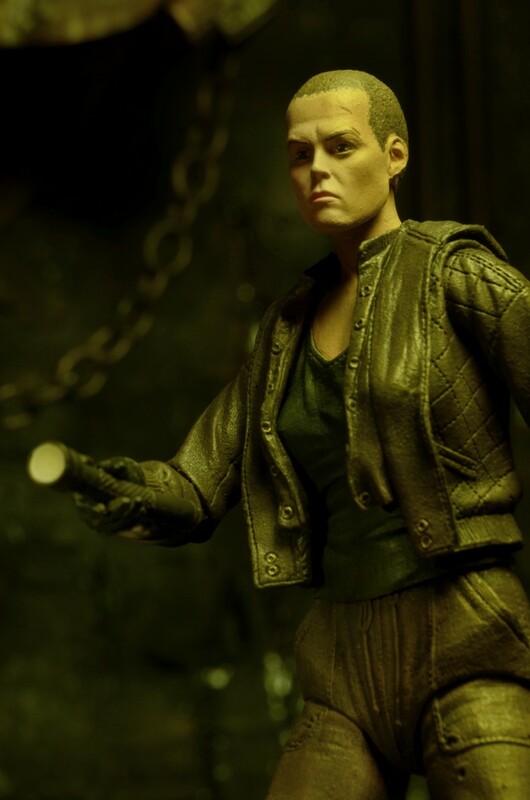 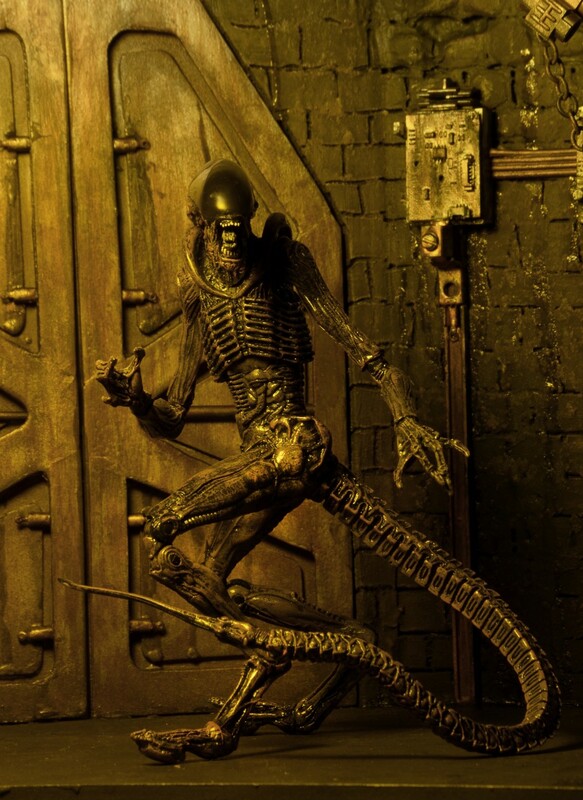 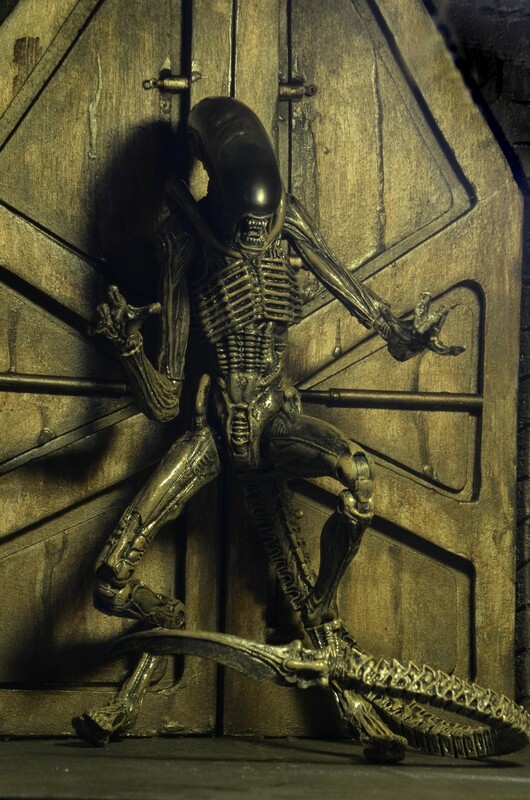 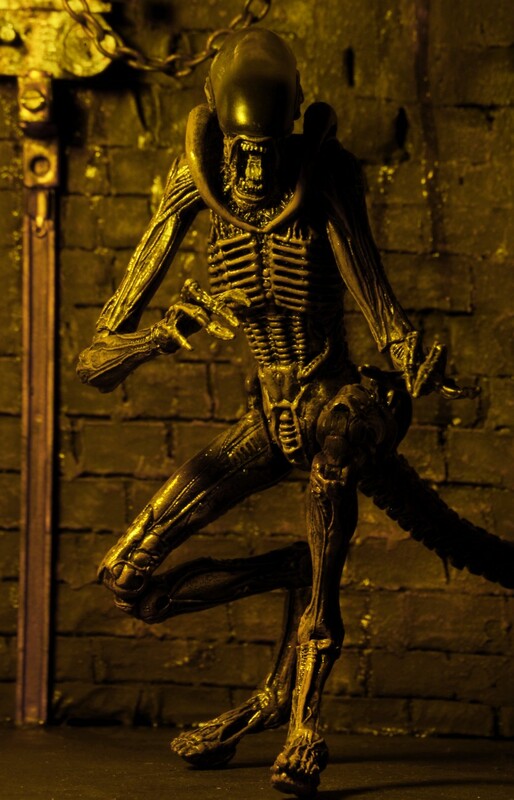 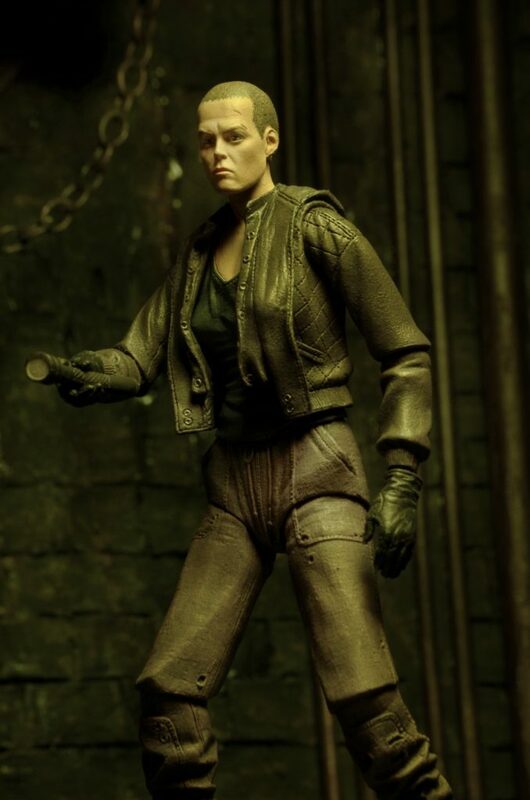 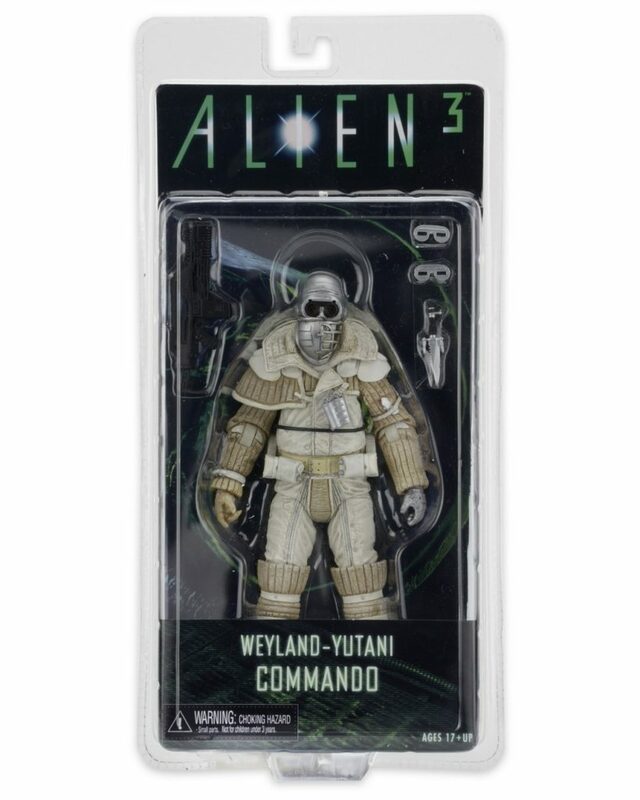 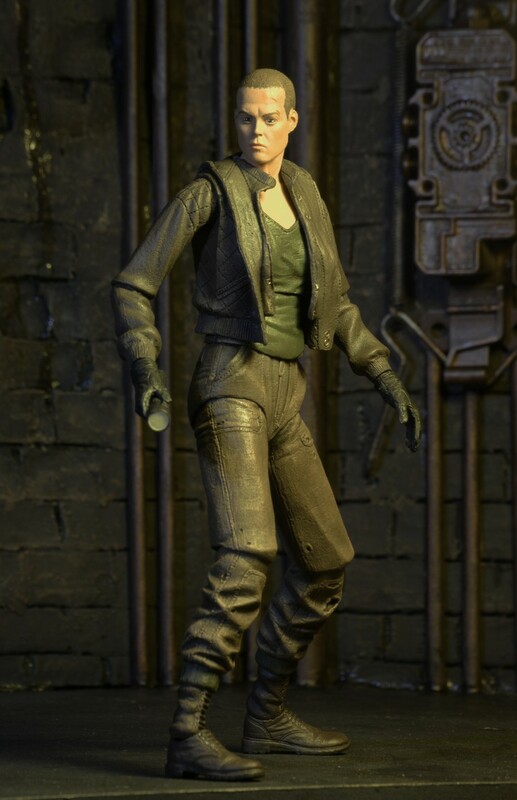 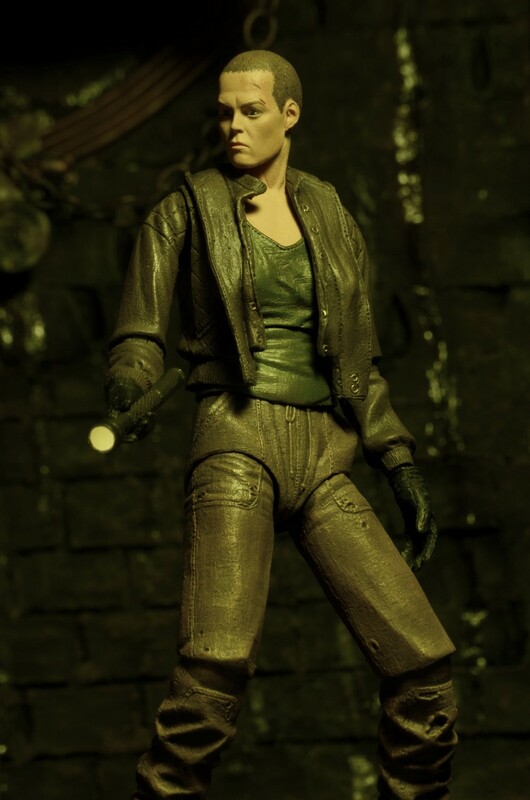 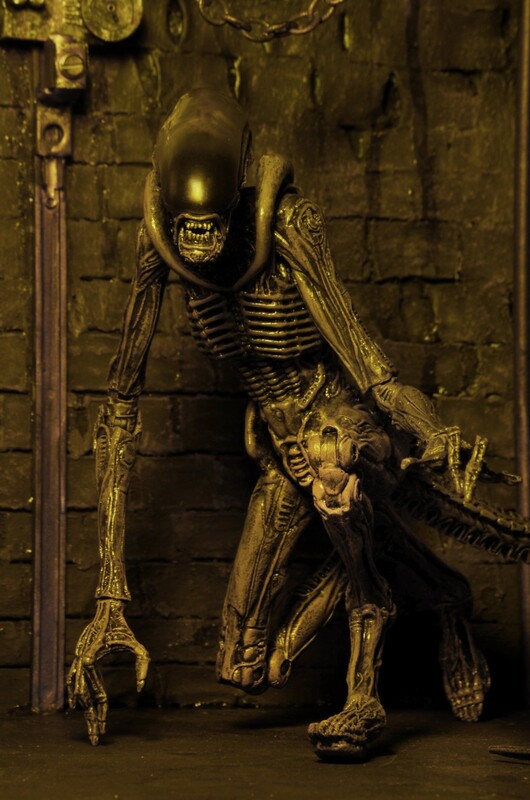 Series 8 focuses on 1992’s Alien 3, and includes Weyland Yutani Commando, Dog Alien, and the first Ripley figure from this movie to feature the likeness of Sigourney Weaver. 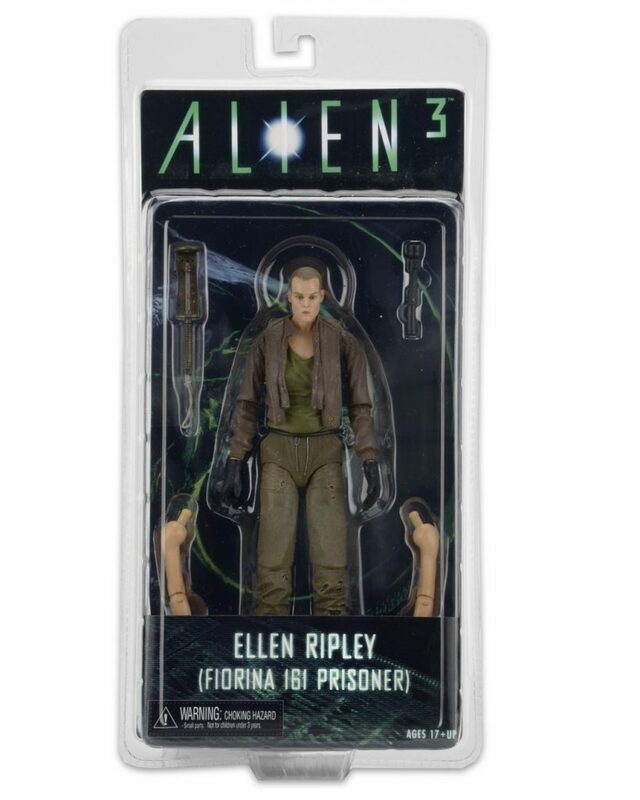 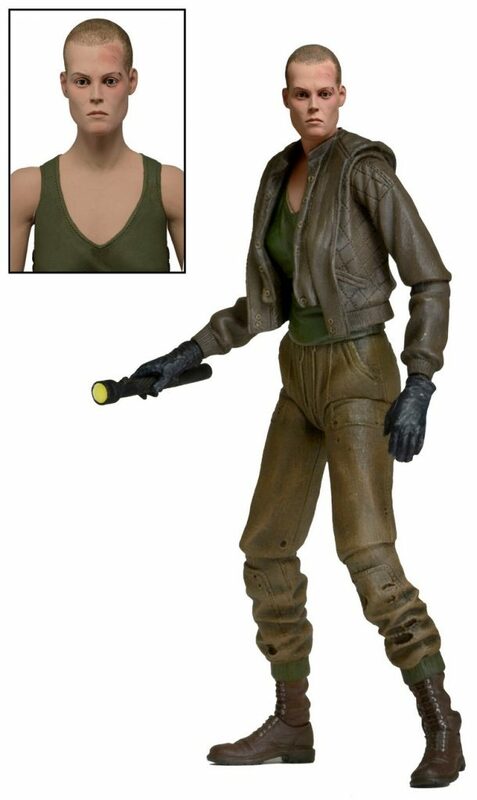 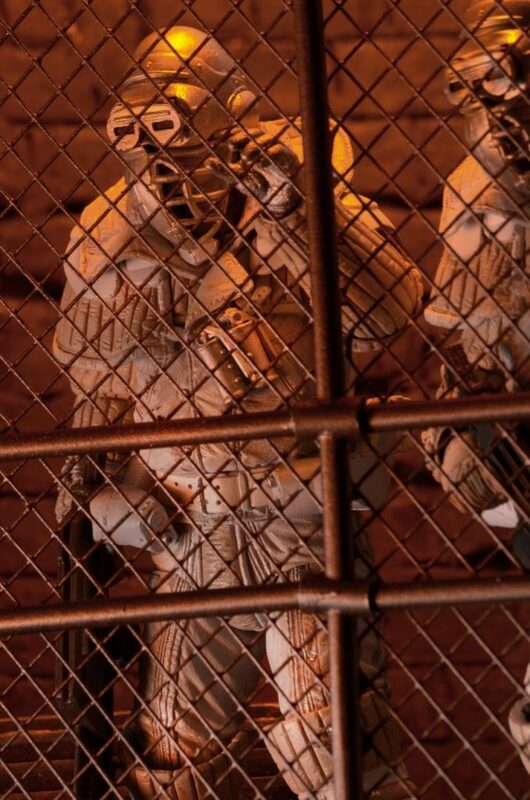 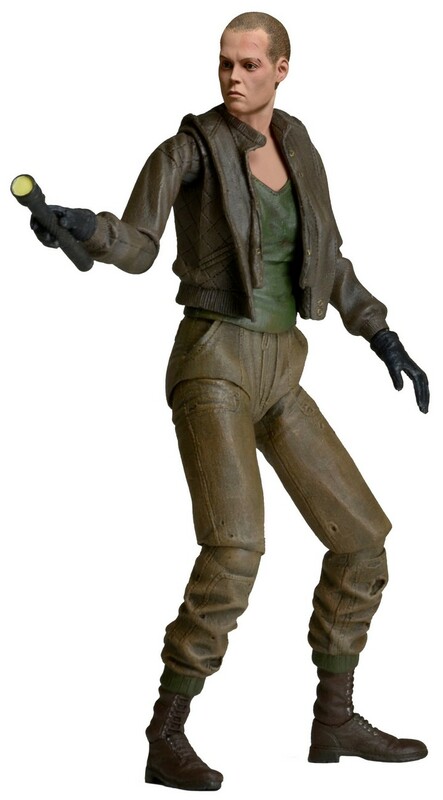 Ripley in Prisoner Uniform comes with removable jacket, 2 sets of arms, and flashlight & torch accessories. 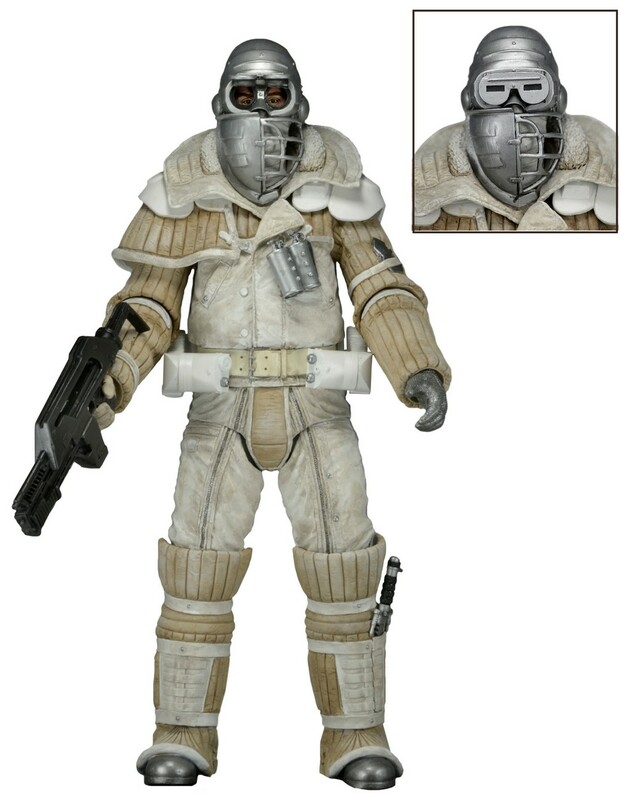 Weyland Yutani Commando comes with removable goggles, custom pulse rifle, and knife that fits in a boot sheath. 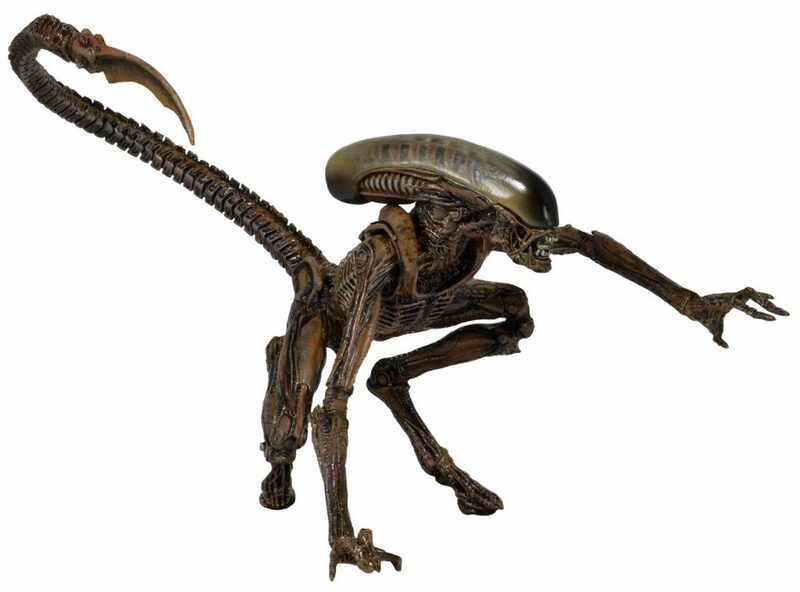 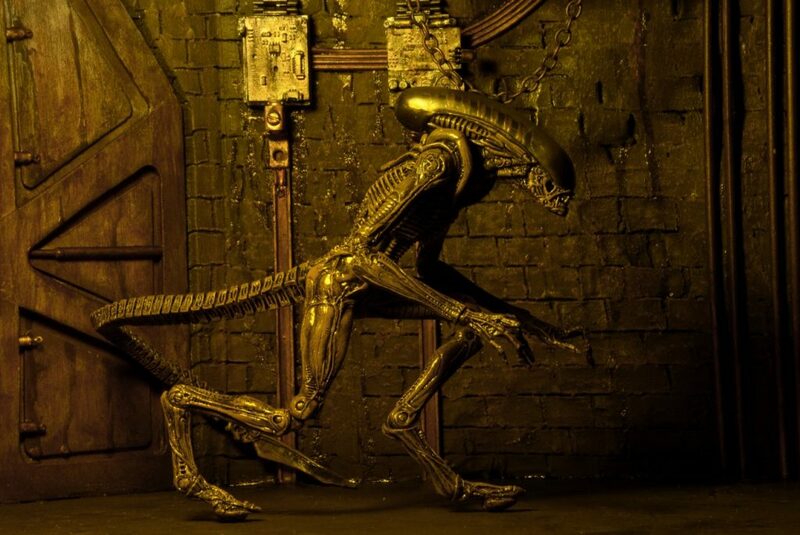 The Dog Alien comes in brown and gray variants, with over 30 points of articulation and bendable tail. 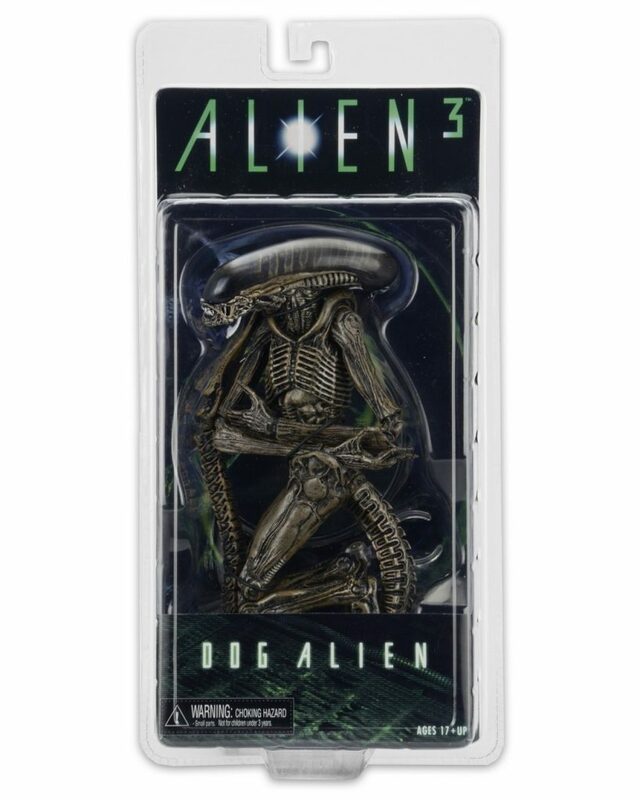 Each highly articulated figure stands approximately 7” tall (Dog Alien is over 9” tall).